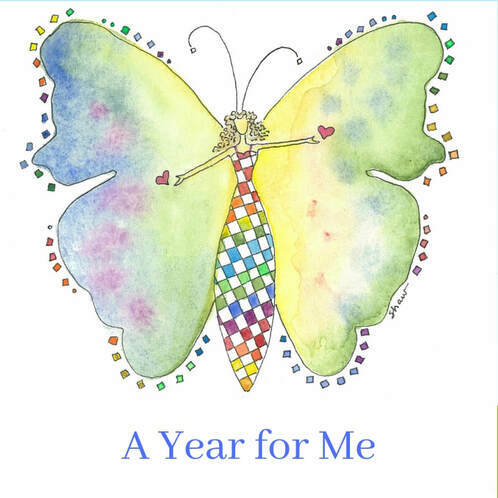 "A Year for Me" is a powerful program for spiritual exploration and transformation. Each week for an entire year you will receive one "Soul Infusion" via e-mail. 52 weeks, 52 inspired teachings and practices, that will help you create a spiritually healthy life; to connect with your spiritual life in a profound new way. Each Soul Infusion will take you deeper into your experience of a yourself as a sacred being. As the year progresses, you will experience the transformational power of living as your truest self in the world. You will feel stronger, clearer, wiser—attuned to the divine as you understand it. Offers the opportunity to experience (optional) one-on-one spiritual companionship with Jan.